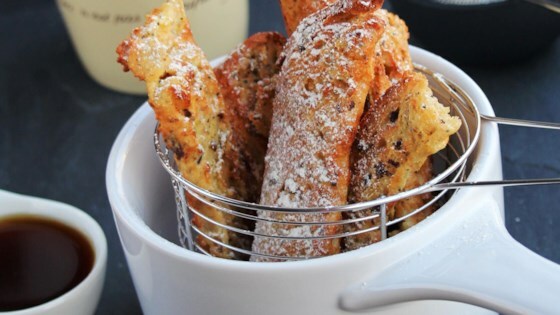 "These easy-to-make French toast sticks turn out great in an air fryer. Dry your bread out first so you don't end up having your bread fall apart during the soaking process. Serve with your favorite French toast toppings, such as powdered sugar, a sugar and cinnamon mix, or syrup." The best! My go to for a quick breakfast!! !